Earn £5,000.00 PROFIT a Month. Bet where the smart money is. Take advantage of movements in the odds. Bet like a professional trader, but without doing the work. 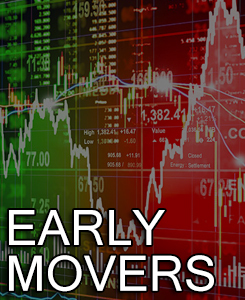 We trace the movements in the market – You Profit from them. 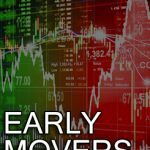 SELECTIVE ‘EARLY MOVERS’ IS THE KEY TO SUCCESS. We would all like to have inside information- be in the know when a horse is expected to win. However, unless you are the owner or trainer, or are close to the connections, that is unlikely to happen. The next best way of discovering any useful knowledge is to check the betting market, be aware of any positive movements in the odds, or a sustained plunge on a particular runner. Sometimes this can happen overnight and can be easily missed. With the proliferation or online bookies it is easier than ever to get the money on early, as soon as the market opens- usually the previous evening- Those in the know can take a price they believe is too high. Others wait until the betting shop opens- put their cash down, take the price and the odds change. There are those punters who leave it as late as possible before showing their hand, sometimes just a few minutes before the off. The infamous trainer, and fearless punter, Barney Curley, was renowned for this. It was amazing to see the odds on one of his horses plummeting in such a short space of time, very rarely did his money stay with the bookies. So how can we benefit from these plunges? Surely any value has gone? The horse has bolted- so to speak. We monitor the betting market for each race from the evening before racing to spot any early movements within the odds. Then we follow the market in the morning and our experts assess which market moves look significant. We take into account any non-runners and any major change in the going for every meeting. Once we have all the information we make a definitive list of that days EARLY movers- those horses that are expected to run and Pick The Very Best Of These that in our opinion have a great chance of Winning. It’s Selecting The Right Ones from a list, that is the vital ingredient to long term success, and we usually average just two or three early movers in a day, and never go above four, ensuring only those with the greatest chance of success make our final selections. – have all that’s needed to have a bet. The Top price may be gone (although sometimes a price might come in dramatically early on- and then go back out again at the time of the race- and still win! ), But there are big profits to be made backing horses that are out to do their best. Stay a move ahead of the bookies!